The Gun Holder is the brainstorm of two Midwest outdoorsmen who desired to have a safe and secure method in which to transport their uncased shotguns and rifles in a vehicle, while still having them readily accessible for hunting. The Gun Holder concept started in the 1990’s with the first prototype built in 2011. The Gun Holder is a generally universal, door mount gun holder that quickly attaches without drilling or screws to avoid damage to your door interior. The Gun Holder is designed to hold most shotgun or rifle models including over-and-under double barrels, side-by-side double barrels, slug guns with scopes and rifles with scopes. Made of high quality material, right here in the USA. Securely holds your gun against your vehicle door interior whether the door is open or closed for safety, and quickly releases to allow accessibility. Growing up in West Central Minnesota, enjoying the outdoors can be a way of life. Mark was exposed to hunting as a young boy and grew to love the opportunity to get outdoors and enjoy God’s creation. As an outdoor enthusiast and sportsman Mark took every opportunity available to get outdoors, either hunting or fishing. Through active involvement in the Fergus Falls Ducks Unlimited Chapter, the Otter Tail County Pheasants Forever Chapter and the Otter Tail County Sportsman’s group Mark became very active in duck hunting, deer hunting and pheasant hunting. Mark continues to be active today and looks for opportunities to get his children involved in the outdoors whenever he can. 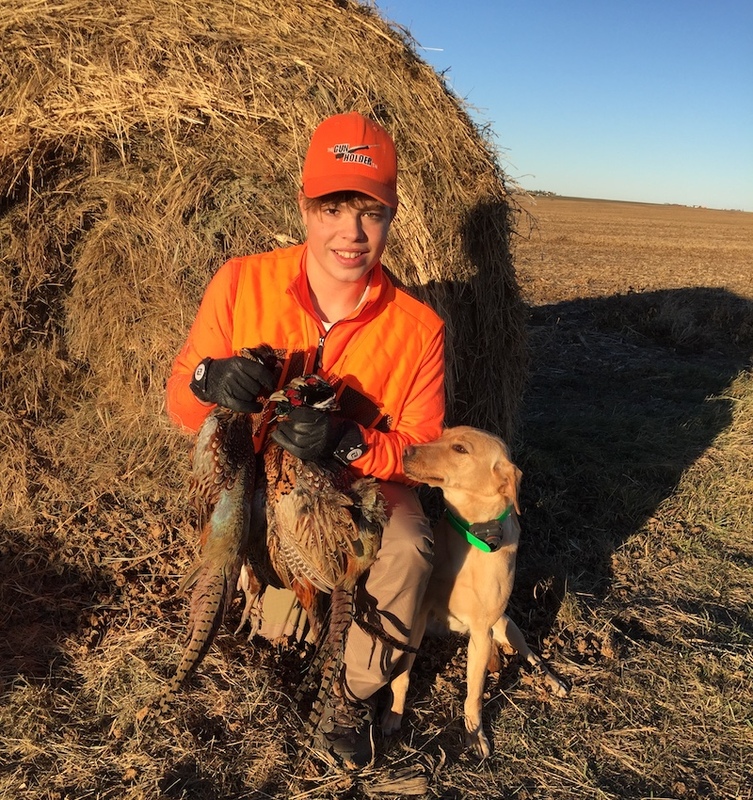 Jay was raised in Fergus Falls, Mn and was exposed to hunting early on by my father, and feel very fortunate to share that same experience this year with my son Ben, which he was able to see the dogs work and get his first SD rooster, and meet the great people of Eureka. Jay is currently a member of Pheasents Forever and Ducks Unlimited, and looking forward to attending Pheasents Fest 2018 in Sioux Falls. This has truly been a fun product to develop over the years and looking forward to response of our new products, to ensure we are meeting all our great customers expectations. Photo of Jay's son Ben to the right after a great day in South Dakota chasing wild pheasants.